WARNER! NH: July 23-25 - Cheer Camp! 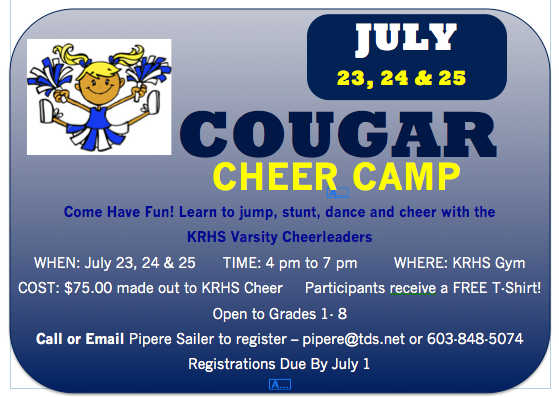 July 23-25 - Cheer Camp! with the KRHS Varsity Cheerleaders.